What services do we offer to the primary sector? 1. Primary Introductory Phase – Introduction to our modern digital world. 2. 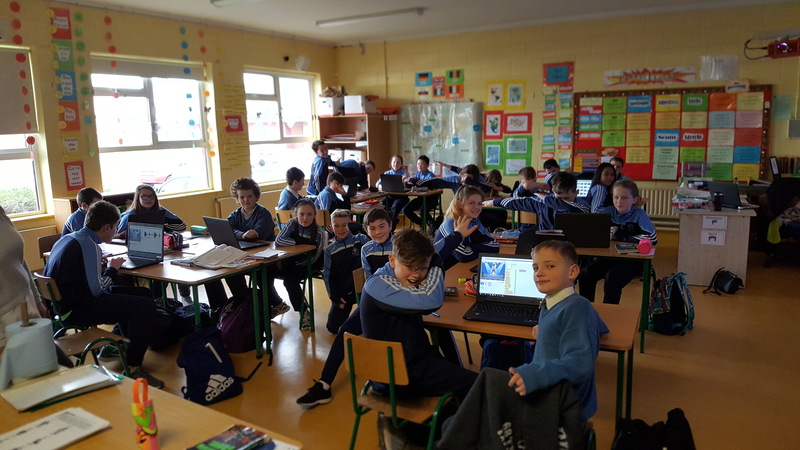 Phase 1 – Primary Sector Programming with Scratch (2nd – 4th Class). 3. Phase 2 – Connect to the World – HTML/CSS (5th Class). 6. CyberSafety Protection Programmes for Schools, Kids & Parents. 7. Computing & Coding ‘What’s it all about’ talks for Schools, Kids & Parents. 8. Independent Hardware & WIFI Audits to aid with systems Modernisation. Affordable Modern App & Website Development for Schools. 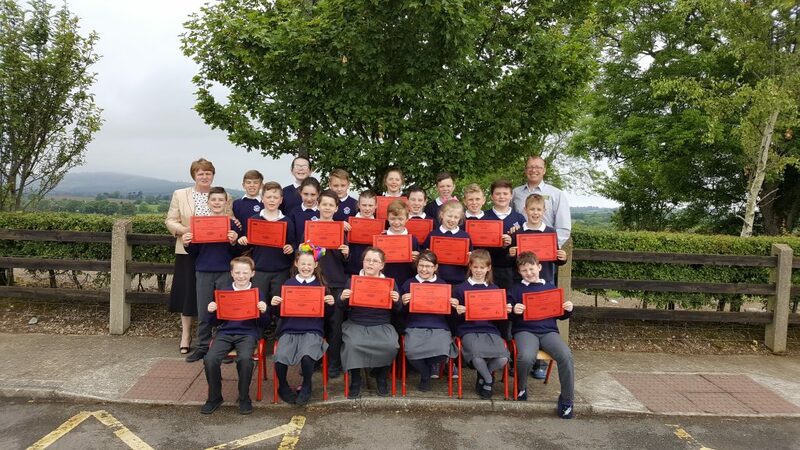 We also provide an App and Website development service through www.computingatschools.ie This entity is to help schools ensure they are communicating with a holistic approach to all their stakeholders by ensuring they have access to modern tools such as affordable Apps that will allow the school do push notification with no hidden charges. We also specialise in building modern mobile device friendly website which thereafter allows the schools to have full management of their content. If you have any question or queries the App or Website development services. Please do not hesitate to contact Trevor @ trevor@computingatschools.ie or on 087-6873933. “Technology is just a tool. In terms of getting the kids working together and motivating them, the teacher is most important”. This workshop requires 4/5 hours to complete this element of Teacher CPD. We travel to you and give the attendees the tools, skills, and confidence to explore blended techniques learning in their classroom and start to understand and introduce Computer Science elements. Introduction to our modern digital world. How can technology aid me to teach? How to keep you and your school safe from Malware. Virus and Malware! What software should I use to protect myself? What is an update? Who sends it? What does it do? How to keep your Laptops and PC clean and safe. What is important to understand when purchasing new hardware? How to get the most from Tablets and IPads. What is Computing and Coding all about? Implement computing and coding in their classroom. For those that are already delivering computing and coding, this course will provide a full syllabus to allow teachers to expand their current skills portfolio. My digital world: The importance of computers in modern society and my life. Introduction to Primary Sector Computing and Coding through Scratch. Introduction to Computing & Coding – Introduction clips. Computing and Coding through CS Unplugged (Paper Exercises). NB. 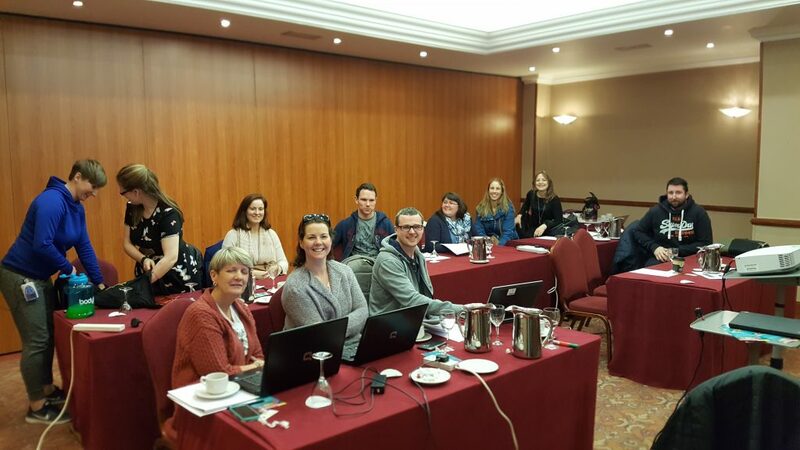 Post-Primary Computing and Coding Teacher Training 2018/19 Programme, will be announced shortly. We fully understand the huge difference between the primary and post-primary elements but the primary training is also open to post-primary teachers that will need a stepping stone to aid them to move from geometrics i.e. Word, Excel, PowerPoint into the area of computing and coding. NB. Phase 2 is suitable for beginners and advanced users, you do not have to complete Phase 1 to partake in Phase 2. Understanding the Internet versus the Web. In-House: We travel to you and delivery to as many staff as you wish. Implement Python in their classroom. For those that are already delivering Python, this course will provide a full syllabus to allow teachers to expand their current skills portfolio. How to use Python IDLE & Interface & Environment. Loops. While, Repeat (For) & Nested. For all, you need to know check out our Teacher Computing and Coding Module video. In-house Training Events and Workshops. Primary Sector Computing and Coding Teacher Training Programmes. We can delivery the 4 off-site workshops in-house and directly to your staff. We travel to you and pick a date and time which is suitable for this essential forward-looking teacher CPD. There are no limits to the number of teachers that can attend these workshops. This is a 4-hour session but can be tailored to meet the school’s needs. 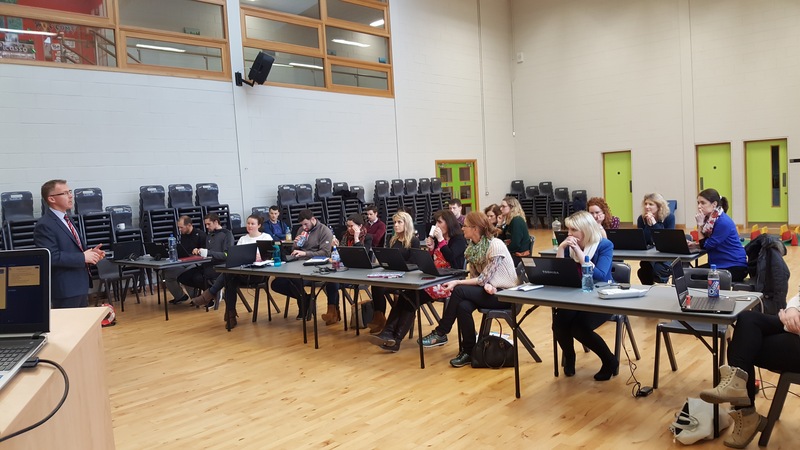 Alignment.ie can deliver a bespoke Computing and Coding course in the classroom. This allows teachers to get hands-on training and experience whilst the lessons are delivered to their students. This is a 3-4 hour session but can be tailored to meet the school’s needs. Introduce blended learning into class environment. Proactive Continuous Professional Development for staff. Full use and integration of all available hardware. Approach your syllabus from a different modern viewpoint. The aim of the course is to develop among students an understanding of Scratch programming language. Students will learn the basic elements of coding (Logic loops, if statement, etc), this aids today to today learning and introduces blended learning to the classroom environment. Using Scratch greatly enhances problem-solving, interpersonal and self-directional skills whilst aiding maths, logic and problem-solving. The course also aims to increase awareness and encourage interest in computing and coding the quickest growing global sector. Scratch is a multimedia authoring tool that can be used by students, scholars, teachers, and parents for a range of educational and entertainment constructivist purposes from math and science projects, including simulations and visualizations of experiments, recording lectures with animated presentations, to social sciences animated stories, and interactive art and music. Simple games may be made with it, as well. Scratch allows users to use event-driven programming with multiple active objects called “sprites”. Sprites can be drawn — as either vector or bitmap graphics; from scratch in a simple editor that is part of the Scratch, or can be imported from external sources, including a webcam. Cyber-Safety Protection Programmes for Schools, Kids & Parents. For details of our 1 day “Online Protection Programmes” for further details on individual options email trevor@alignment.ie All our Cyber-Safety programmes are run in conjunction with Computing At Schools Cyber Division. This event is delivered to the whole schools, were children, teachers and parents can all get a better understanding of ‘Computing & Coding, what’s it all about’. Duration 2 hours. Computing in our educational sector. What are your options to get your involved? What is coding all about? You have an IT budget but what do you send it on? Alignment.ie conduct independent separate or join Hardware and WIFI audits. This should be your first step when considering upgrading any elements of your IT infrastructure, we are an independent company which has no links to hardware sales and therefore will always supply advice as to what you really need! Alignment.ie specialise in strategic management. We can aid and direct your school’s BOM and Parent Council with respect to initiating a Technology Fundraising Drive for your school. 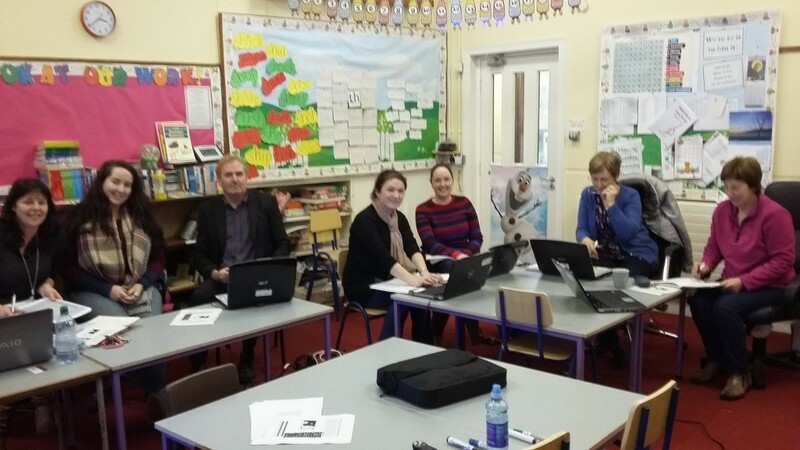 Stillorgan Park Computing & Coding Primary Teacher Training. 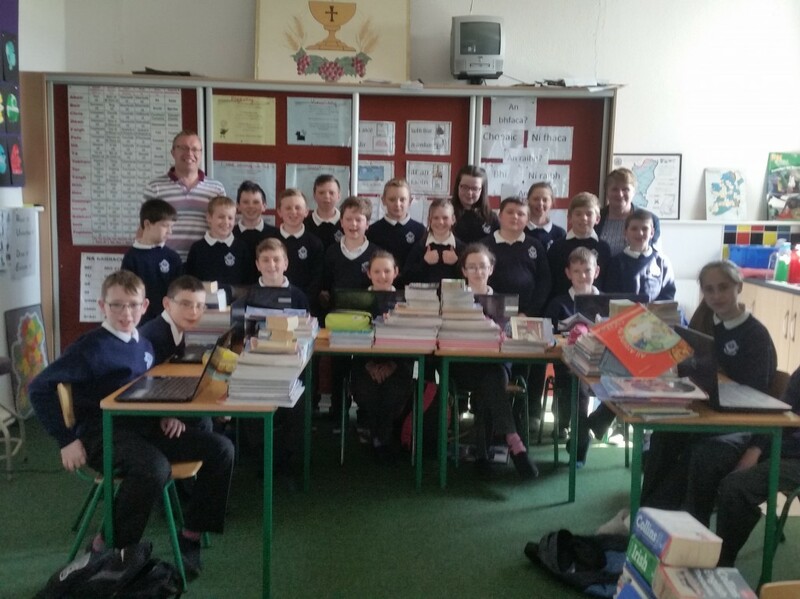 Scoil Mhuire Coolcotts are up and running with Computer Sciences.